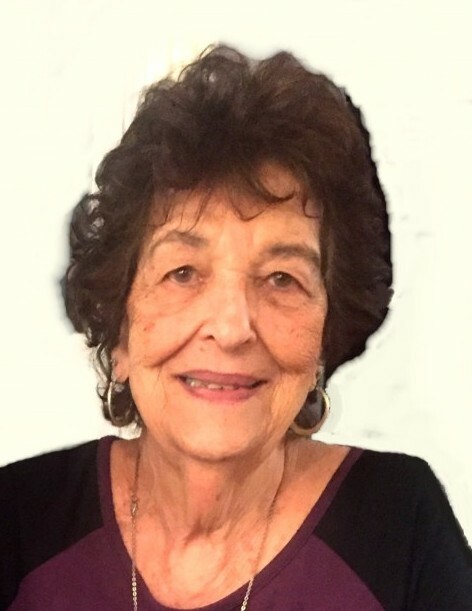 Lucia "Lucy" Coppolino (DeRobbio), 86, of Providence, passed away Tuesday, April 9, 2019 at home surrounded by her loving and adoring family. She was the beloved wife of the late Gioacchino “Jack” Coppolino, Sr. Born in Providence, she was the daughter of the late Angelo and Josephine (Box) DeRobbio. A loving and devoted mother, grandmother and great grandmother, she is survived by her four children, Joachim Coppolino, Jr. and his wife Christina, Lori-Jean Meek and her husband Robert, June DiLorenzo and her husband Steven, and Robyn Charette and her husband Joseph; nine grandchildren and three great-grandchildren. She was the sister of the late Carmino DeRobbio and Angelo DeRobbio Jr., Rose DiChiaro, Mary Supino, Viola Zannella, Josephine Rotondo, Anna Picozzi and Dolores Iasimone. Lucy with her husband were the proud owners of LuJack’s Market. She had many joys in her life including cooking, baking, and hosting holidays and parties. She enjoyed playing cards, creating puzzles, and pencil art. Dancing with her husband on Federal Hill along side family and friends was always a highlight, especially when Engelbert Humperdinck music was played. Most of all the center of her life was being around her children and grandchildren who were the loves of her life. Visitation will be held Saturday Morning, April 13, 2019 from 8:30 a.m. to 10:15 a.m. in the MACERONI FUNERAL HOME, 1381 Smith St., North Providence, followed by a Mass of Christian Burial at 11 a.m. in Holy Ghost Church, 472 Atwells Ave., Providence. Burial will be in St. Ann Cemetery, Cranston.